This book covers building a basic kit, simple and complex detailing, building dioramas and using accessories and painting and decal application. 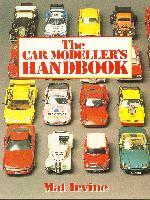 Also included is a history of the model car market and the "collectability" of the model kit. Although examples are generally of the 1:24 and 1:25 scales, the author also considers all the other popular scales.